Clever Energy Boilers - Central Heating Engineer based in Lawkholme Lane, West Yorkshire. Invoice history based on 217 reviews. 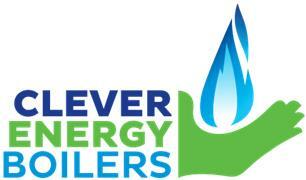 Clever Energy Boilers is part of the Green Deal Factory Limited. Our business has in-depth experience in the supply and fitting of efficient, energy reducing boilers from leading manufacturers. We have successfully installed over 5,000 boilers in the last eight years. It’s very important to us that our customers are confident in our abilities to provide the right kind of service with a high level of capability. Becoming accredited and approved by the industry’s leading governing bodies supports our aims to be recognised as a leader in our sector. The Green Deal accreditation is government backed benchmark meaning we are providers of products and services working towards a greener, cleaner environment. We are signed up as an accredited assessor and installer and not only that, we are award winning. We are Green Deal and Gas Safe accredited with stamps of approval from recognised governing bodies and standards and we are Platinum Accredited with Worcester Bosch. If you need a new boiler, get in touch and we will carry out a free home survey so that we can recommend the right boiler for your needs. We offer flexible and competitive prices, buy now or pay later and we are authorised & regulated by the Financial Conduct Authority.